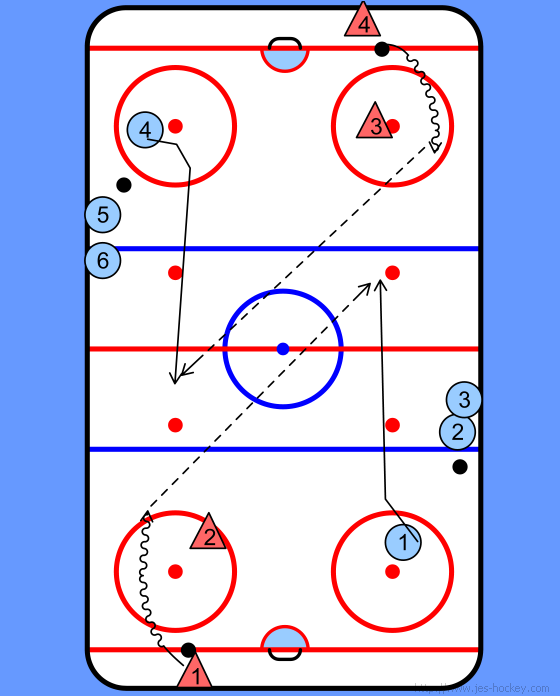 F's at opposite blue lines, D at opposite face off circles down low. 1. 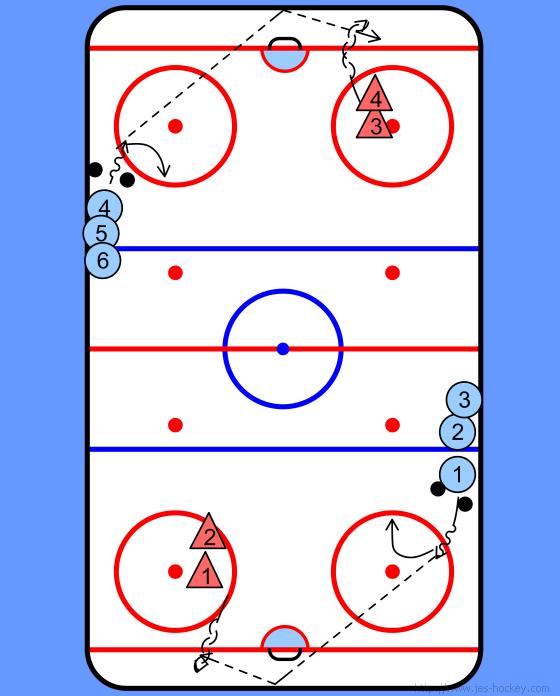 F's skate in with a puck and make a bank pass to the D who skates backward supporting the pass. 2. F's turn up ice and skate hard looking for the pass. 3. 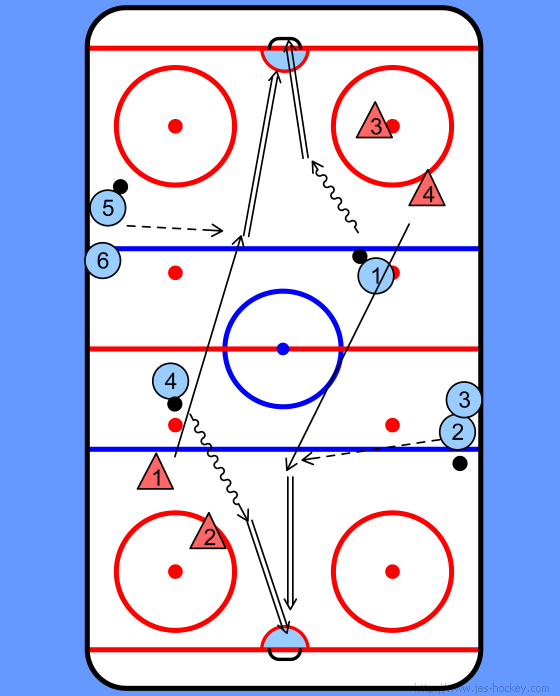 D's receive the bank pass and head up ice and make the stretch pass. 4. F's go in for the shot and stay in front for the deflection. 5. D's skate up to the blue line and receive a pass from the next F's in line and take the shot.